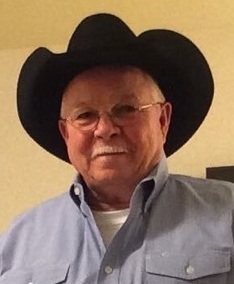 Paradise ~ Tommy Doty, 65, went to be with our Lord Wednesday, August 8, 2018 in Decatur. Funeral is 2:00 p.m. Sunday, August 12, 2018 at First Baptist Church of Cottondale. Family will receive friends 5-7 p.m. Saturday at Hawkins Funeral Home in Decatur. Rev. Charles Pugh will officiate. Pallbearers include Asa Johnson Jr., Richard Kimball, Marshall Hicks, Matt Reynolds, Gary Howell, Marshall Hicks Jr., and John Rowe. Tommy was born on February 8, 1953 to Finis Earl and Louise Estelle (Hicks) Doty in Cleburne, Texas. Tommy worked at Jerry’s Chevrolet for 10 plus years in auto sales. He was a member of the First Baptist Church. Tommy was a longtime member of National Rifle Association. Tommy loved being outdoors hunting and fishing. He loved playing shuffle board. Those left behind to cherish his memory are his daughters, Jenifer Miller of Northlake, Stephanie Rowe and husband John of Haslet; his grandchildren, Victoria Miller, Hannah Miller, and Parker Rowe; his sister, Becky Ivey of Burleson; his mother, Estelle Doty of Joshua; numerous nieces, nephews, cousins, and a host of friends.